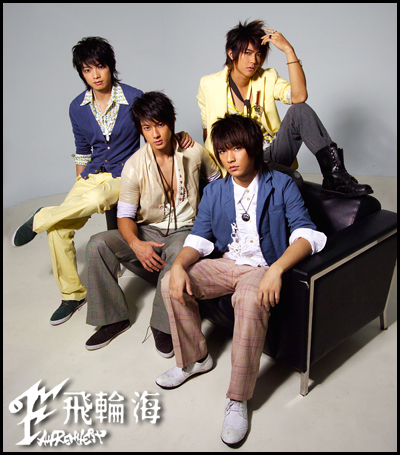 Fahrenheit was first formed with three members (The main leads in KO-one) then Wu Zun (Debut drama Tokyo Juliet) joined as the fourth member to form the current most popular newcomer group Fahrenheit. 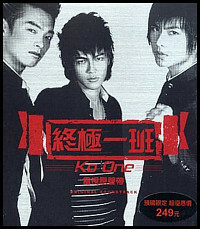 So far, Fahrenheit has only released one album and three soundtracks to dramas - KO One, Tokyo Juliet and Hua Yang Shao Nan Shao Nu (Hana Kimi). Read the aaron 17th May blog..sobx..
Life is too fragile, miracle is too distant, this is for you, my good friend. I could not believe that when the call got through, there came such a sentence, stranger: Who are you looking for, who are you? Stranger: Are you this student's relatives? Stranger: What is your relation to him? Stranger: This is Xing Guang Emergency room. He had a car accident, he is not conscious currently. Classmate drove speedily, reaching the doorstep; we walked quickly, dashing into the emergency room. Be it in school, in the ball court, we are always like that. Of course, you are the most important character in this group, after all you are A2. The first match with you, I knew we will fight in the court, as a hero will recognize another hero. eh dun so chinese can?? can change to channel 5 abit?? everytime channel 8 sia... irritating u know..
then you can post some chn 5 one la..
thank kew for this thread! i can open zjyj de? post on General Entertainment lor..
got read aaron post or not? really. intro till machem is the official site. haha. oh yah, aaron's sucha sweet cutie. i love him too. i love WUZUN n YALUN! da dong was once jay junior? 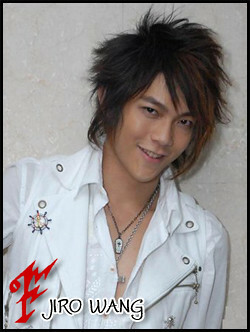 Jiro Wang Was Jay Chou's "Shi Di"
From the dramas "KO One" and "It Started With a Kiss", it had caused the popularity of FAHRENHEIT member WANG DONG CHENG (Jiro Wang) to rise. However, it was very difficult to believe that when Jiro first stepped into te Entertainment Circle, he was under the "3" plan that BMG Music was trying to achieve. 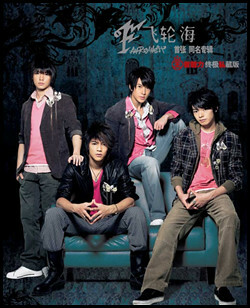 The "3" plan stood for ZHOU JIE LUN (Jay Chou), CHAN SIU CHUN (Jordan Chan), and Jiro Wang. Unfortunately, after the 9/11 incident, the record label could not continue on after the "3" project and after the promotions of Jay Chou and Jordan Chan, they halted. 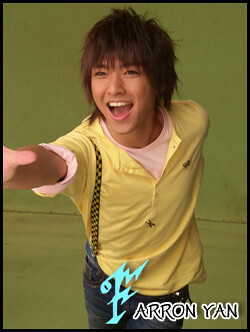 Jiro Wang was forced to have canceled his contract. 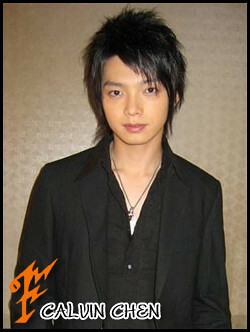 Jiro explained that it was so devastating for him that he cried. This was not the end of Jiro's miserable artiste life. After Jiro signed to Qingtian Record Label, the label suddenly decided to stop business and Jiro was forced to move out and he could not release his album. No one could image Jiro's mifortunate life. Luckily, through adverts and dramas, Jiro still continued his life in the entertainment circle and it had surprised many, who had expected him to have given up. 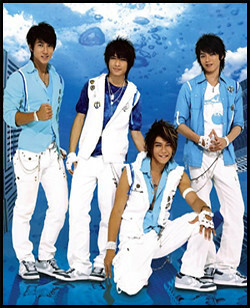 During the times when BMG were still preparing to debut its new artists, Jiro Wang had expressed that he wanted to thank his Xiao Song Lao Shi. Because Jiro was an upcoming artist, he could not expose himself too much in the public. Xiao Song was his own private producer and manager. Jiro laughed, "Actually there was really nothing to do. Everyday I would be with him in the recording studio. He wouldn't even let me go outside to buy food because he doesn't want the upcoming artists to show up in the public too much." But Jiro still had his salary so surviving was not a problem. After several years, Jordan Chan has now become a famous movie actor and has released his own studio albums. Jay Chou, who at that time only worked as a behind-the-scenes composer, is now one of the most popular pop kings in Asia. Seeing this, Jiro Wang could only root himself to work harder. A while ago Jiro had met Xiao Song on a variety show. Xiao Song patted Jiro's shouder and said, "You finally made it." Jiro was left speechless. The emotional Jiro almost cried in front of him. Actually, being popular is also another huge burden. 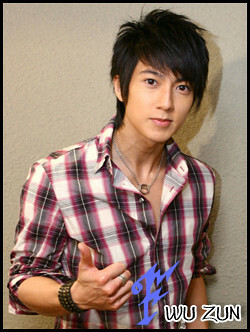 WU ZUN, who is also being part of Fahrenheit, was rumored to be fighting with Jiro to be the "No. 1 Brother" of the band. Several days ago the Hong Kong media had caught Fahrenheit delaying the flight time because they were too busy cam-whoring. Yesterday Jiro Wang stepped out and explained that that day there were eight people. Before the flight, Jiro confessed that they were very busy taking pictures, but that did not delay the time of the flight. 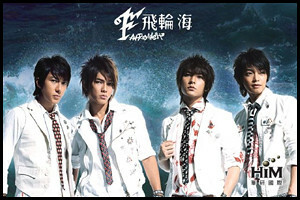 When Fahrenheit were already on board, they heard the flight attendants announce that there were still four people left to board, so it was not them that delayed the flight. As for the issues between Wu Zun and him, he expressed that they're best friends and negative rumors would not have a bad impact on their friendship whatsoever. Although Jiro appears to be very hyper and loud in the outside, he's actually a very mature person and is very clear in what road he should continue to walk in. Well...i think if not becos of this incident...we will not have FahRenHeit now..